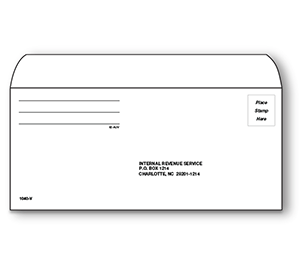 White 4 5/8" x 9 1/2" Federal Envelope with black printing. White 6" x 9" Federal Envelope with black printing. White 9" x 12" Federal Envelope with black printing. White #9 Federal Estimated Payment Voucher with black printing.